How much water do you really use? Want to conserve water? Not sure where to start? 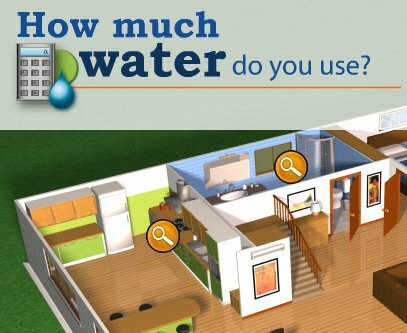 Our Water Calculator quickly estimates how much water your household uses and compares it to a similar average and a highly efficient home. The Water Calculator also shows you where to begin your home water conservation efforts. Throughout Home Water Works, you’ll find useful tips and resources for saving water and money without sacrificing comfort or convenience. Looking for quick and easy ways to save water? Read our water conservation and saving tips to see how easy it can be to conserve water at home and in the workplace! Read about outdoor water conservation for helpful information on how to keep your landscape looking beautiful while staying water efficient. Learn the least you should know about the water you not only love, but need to survive! Find out about the water service a typical residential water bill covers. Click here. Ever wonder why your water rates are going up, even though you're using less? Find out how conservation is a win-win. Click here.